Water heated by engine and shore power. Raychart 435 GPS Chart Plotter. Raymarine ST60, speed and sounder. This is a good example of the Beneteau 331 Oceanis Clipper, launched in 2004. These are a very spacious boat with a v berth master cabin and proved very popular. Our owners have cared for her insuring she has been serviced and well maintained. She has been laid ashore for the winter, so now is a good time for a full inspection. 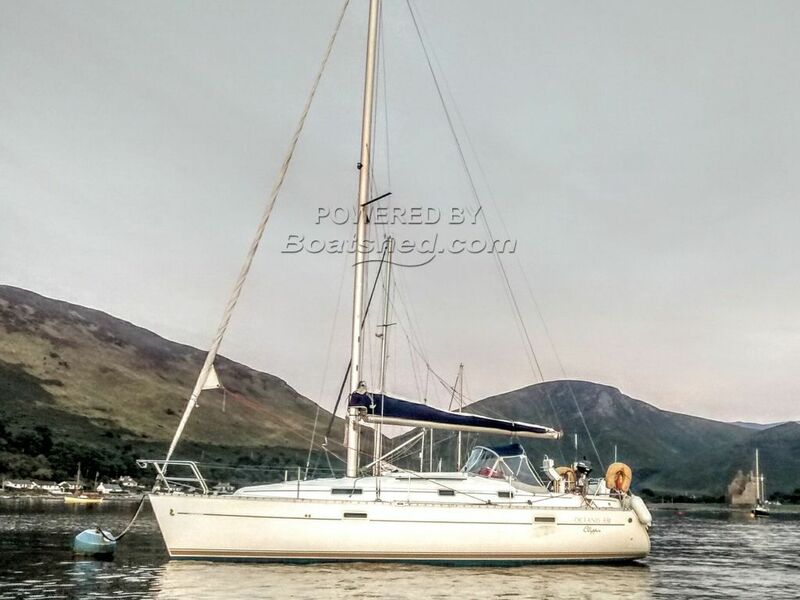 This Beneteau Oceanis 331 Clipper has been personally photographed and viewed by Ian Sawkins of Boatshed Scotland. Click here for contact details.